From June 9-12, women’s rights activists documented thirteen cases of women who were kidnapped and raped by militants of the Islamic State of Iraq and Syria (ISIS) or DAIISH, the Arabic shorthand for the group’s name. Of the thirteen women, four committed suicide because they couldn’t stand the shame. One woman’s brother committed suicide because he could not bear the fact that he was unable to protect his sister. 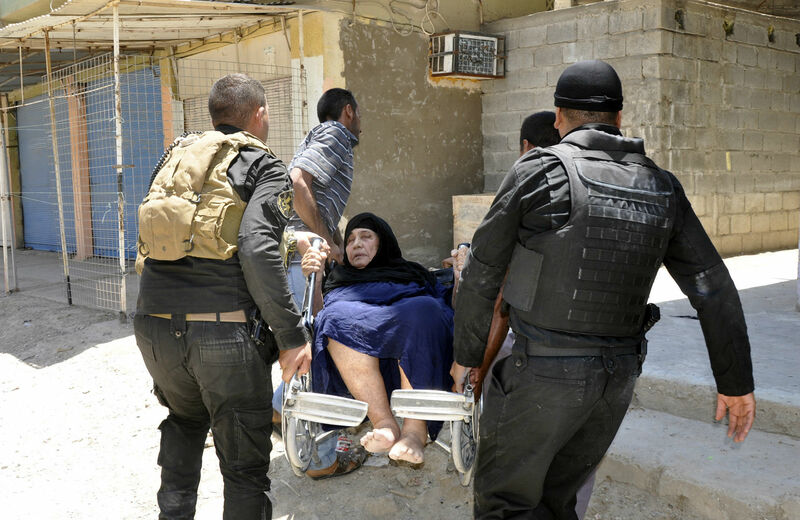 The dispatches from Mosul are just one account of the extreme violence that has plagued Iraq since Sunni ISIS militants seized control over large portions of the country. Being a woman in Iraq was difficult before the current conflict. But the latest wave of militarization threatens to make life even worse. Now military leaders are handing guns to young, untrained, undereducated and unemployed Shia men. These men are promised big salaries if they leave their homes to fight, according to an anonymous Global Fund ally in Baghdad. The Organization of Women’s Freedom in Iraq was in the middle of a campaign against Article Seventy-Nine of the Jaafari Personal Status Law—which, among other women’s rights violations, would grant custody over any child two years or older to the father in divorce cases, lower the marriage age to nine for girls and fifteen for boys, and even open the door for girls younger than nine to be married with a parent’s approval. Now it takes everything the organization has just to keep their shelters open and women safe. Such extreme sectarian violence is a relatively new phenomenon in Iraq, said Mohammad, who is “sick and tired” of Western pundits saying there is no hope for Iraq. As the fighting intensifies in northern and western Iraq, more than 300,000 people have already fled to the Kurdish region for safety, where the United Nations and relief organizations have set up a refugee camp in the arid region of Khazer. While these waves of displacement to Kurdistan include Shia, Sunni and Christian families, the pressure on Iraqi Christians has been strongest due to the infamous brutality of ISIS. If the violence is not seriously addressed, our ally in Erbil says, Iraqi women know exactly what is going to happen next because they have endured it repeatedly since the US invasion in 2003, and during the Iran-Iraq War and Persian Gulf War before it. Zahra RadwanZahra Radwan is the program officer for Middle East & North Africa at Global Fund for Women and a guest columnist for Foreign Policy In Focus. Zoe BlumenfeldZoe Blumenfeld is the communications manager at the Global Fund for Women and a guest columnist for Foreign Policy In Focus.